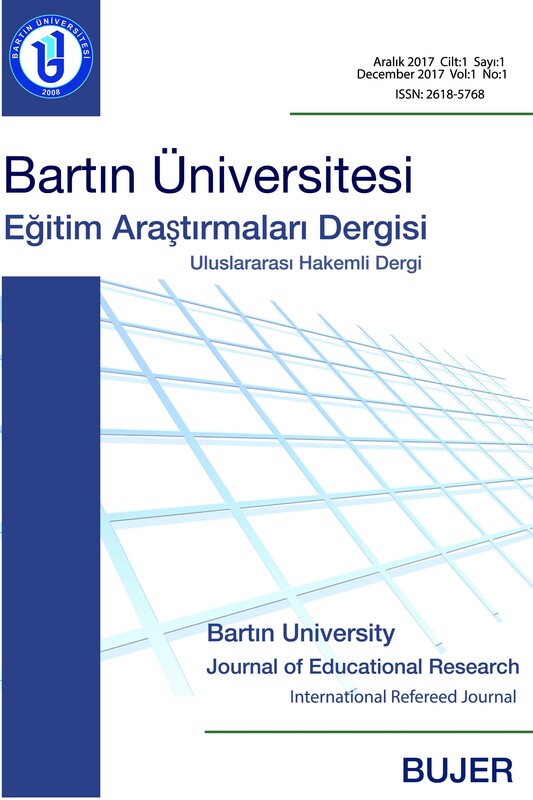 Bartın University Journal of Educational Research (BUJER) (ISSN …) is an international and refereed journal published by Bartın University Graduate School of Educational Science. Scientific studies conducted in the field of education, learning and teaching are published in the journal. In this context, genuine studies in qualitative, quantitative and mixed methods which emphasize formal, informal or lifelong learning, ranging from pre-school to adult education are given a place in the journal. Bartın University Journal of Educational Research (BUJER) started its publication history in 2017. Scientific studies in Turkish and English language are published in the journal in 2 issues per year (June and December). In no process of the publication of the studies the author is charged with any fee. Bartın University Journal of Educational Research started its publication life, scientific articles can be submitted on http://dergipark.gov.tr/bujer webpage.